Sheena is our other full-time optician. She is compassionate towards her patients and takes pride in delivering the highest level of eye care. Sheena strives to stay up-to-date with scientific research and technological development related to eye care. Naomi will normally be your first contact with the practice. She’ll offer the warm welcome that is our trademark and will be pleased to answer any queries you have about Eyecare or our service before booking an appointment for you. Once your test is complete, Naomi is skilful at selecting eyewear that is stylish and suitable. Janine has been with us since we first opened in 1993. She plays a vital role in the efficient daily running of the practice providing essential support for the opticians and optical assistants. Her main talent is keeping up-to-date with frame styles and selecting the most suitable models for the practice. 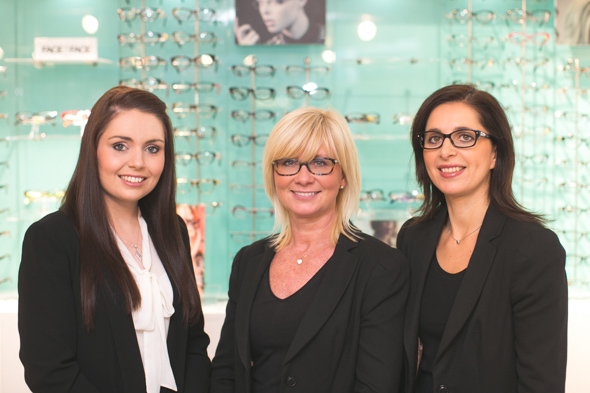 With nearly 20 years experience, Janine’s expertise is finding the perfect frame for you.